In the previous post, I remarked that the job market in Indiana is so saturated that many law firms don't even bother paying salaries anymore...many new associates receive commission only on the work they bring into the firm. Fort Wayne, Ind. – The Indiana Tech Board of Trustees has unanimously approved a proposal to move forward with establishing a law school in Fort Wayne. The proposal was discussed and voted on after presentation of a feasibility study during the university’s quarterly board meeting on May 13. The feasibility study explored the demand for legal education, the job market for individuals with a law degree, the university’s capability of providing a unique educational experience in the field of law, and the benefits a law school would provide to the community. •The number of lawyers in Indiana: The state is under-served in terms of the number of lawyers relative to the state’s population and economic activity. •Indiana residents attending law school out-of-state: About half of all Indiana residents who enroll at American Bar Association-approved law schools do so out-of-state. During the press conference, it was revealed that first year tuition at the Indiana Tech law school would be $28,000. According to Indiana Tech, we don't have enough lawyers in the State of Indiana. Try telling that to recently admitted attorneys who hit the job market only to find there are no jobs. Every year, Indiana licenses hundreds of new attorneys. 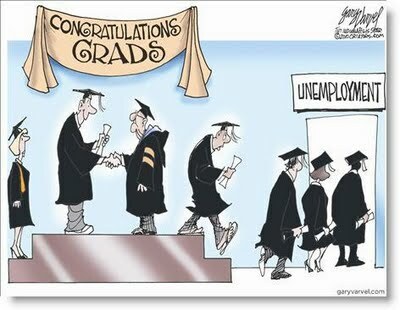 Yet if you look at university job boards, you'll regularly see maybe 4 or 5 legal job openings listed. The math is not good. Near the end of the press conference, a reporter said that perhaps a law degree could be useful in other areas, an idea which the Indiana Tech spokesman endorsed. That's not reality. The reality is that once you have that law license, you're pigeonholed as an attorney and you're probably not going to be considered for non-lawyer jobs. I found the Indiana Tech press conference revolting. The university tried to spin opening the new law school as serving the need for more lawyers. No. What it is all about is academic types taking advantage of mostly young people who naively believe fictionalized law school employment statistics and think a law degree is the ticket to financial security. For most students coming out of law schools today, that couldn't be further from the truth. Again, I ask why does the Indiana State Bar Association continue to stay on the sidelines while Indiana law schools and Indiana Tech lie about legal job opportunities and salaries? At least there won't be a shortage of lawyers to sue the law school! Funny, you should mention that Andrew. I would very much like to be involved in such a lawsuit. I can see it now, an army of unemployed attorneys taking on the school that educated them in court for their lies. Actually these lawsuits are being filed in other parts of the country. It is inevitably coming to Indiana. Paul - No problem with posting a link on RDTTL. Just glad to see another brave soul spreading sense amidst the nonsense. Thanks, J-Dog. I keep telling people thinking of going to law school to talk to actual working attorneys, not law school admissions counselors, about what it's really like out there. Unfortunately too few listen. I agree with half of what you say and disagree with half of what you say, Paul. No one should expect to become wealthy or to have an easy life by going to law school. On the other hand, should colleges stop teaching Math or English because there is no demand for Math or English majors? In my business, I deal with government regulations and contract disputes all of the time. Law schools teach critical thinking, that is value enough. Another important point: Fort Wayne is the largest metro area in the state without a law school. Indy man, I totally agree that there is much about law that helps you in other areas. Unfortunately employers don't look at it that way...the minute you get that law degree you're pigeonholed as in the "attorney" employment slot A JD overqualifies you for a lot of positions. I don't think that's fair, but that's reality. A JD is as cheap and meaningless as a MBA or a MSW. "Law schools teach critical thinking,"
Law schools DO NOT teach critical thinking. The methodologies employed in law school would be laughed out of the Philosophy department. Law schools teach conniving and lying, looking at the prior cases in whatever light is necessary to argue that they support what you want to occur in your case. Creative readings of Kant or Heidegger will get you bounced from your Philosophy program. Philosophy never tries to lawyer the plain meaning of words, as such tactics are dishonest and do not form the shared foundation necessary for the advancement of the argument. The costs that consumers pay -- or cannot afford to pay -- for legal services, suggest that there are far too few lawyers, and that the legal cartel does a splendid job of limiting supply. If there was indeed a surplus of lawyers, we would see fees falling; but we see no such thing. Ogden is a member of the cartel, so he naturally objects to anything that might lower costs to consumers and salaries for attorneys. On another occasion he has objected to a higher dollar limit for small claims courts, further reducing the need for lawyers. This is one thing that distinguishes the Republican Ogden from genuine free market supporters, though he sometimes offers customary Republican phony free market rhetoric. The legal cartel is getting a serious challenge from the Institute for Justice, however. Nic, Ogden is a proud Republican, so he believes in an amount of state intervention that neither of us would countenance. Would Ogden agree to complete abandonment of all professional licensing, letting people choose who they want to provide their services? I suspect not. That said, he's as good a Republican as you'll find, and he's decent, so I mark him as a good guy. Whether or not Ogden is otherwise a "good guy" is immaterial to the fact that the cartelization of law is immensely destructive. Being an advocate for a licensed cartel that harm consumers and prevents competition with lawyers is good for nobody but lawyers (and their hirelings). There are farmers who support free markets -- except when their subsidies are jeopardized. There are doctors who support free markets -- except for the licensing and prescribing laws that keep them well-fed. Self-interest is often selfish interest. Ogden's position on licensing of lawyers show either a fundamental misconception of, or disregard for, free markets. You either support economic freedom or you don't. And insisting on an exception for lawyers puts Ogden on the side of "don't." @Nicolas Martin The statistics cited by Indiana Tech have nothing to do with each other. There are lawyers in Indiana working for free, how about that for lowered demand. There are agencies such as Indiana Legal Services that are hurting for grants to pay salaries so the public can receive legal services. Money should be invested in helping current lawyers provide free legal services instead of wasting money on a law school that is definitely not needed in Indiana. The reason that many lawyer fees don’t go down is because recent law graduates have over a $100,000 debt in student loans plus interest that they have to repay, they have to take jobs that pay a certain amount, even if that means working outside the legal field is the only way to make enough to pay their debt. Many that stay in the field work for low hourly wages for more experienced law firms, that keep the money charged at the top. So a shortage of free service/ low cost legal fees is not because there are not enough law graduates, but that there is not enough money being granted to agencies that serve the poor. Since the government is involved in proving loans that are not based on need and are not based on market demand, it is a joke to even think that the law school system can even be compared to a free market. Take away the subsidies from law schools, and then watch the free market close a majority of law schools. There is no way that a free market would ever support more law school in an oversaturated market. Law schools do not represent a free market. While I doubt the statistics, so what if Indiana has less lawyers than other states, that still doesn’t mean that the marked is not oversaturated in Indiana. If the national average is that there is only one law job per every there law graduates, then if Indiana for example, had only one job for every two graduates, it does not matter that Indiana has less lawyers than other states, there are still too many lawyers in Indiana, and another law school will only make matters worse. Also, free market don’t work well when people don’t do their homework. Do your homework and type in law school scam in a search engine. Then read , read some more, and keep reading. The non-free market at work is here is not one based on the law market, but based on the higher education market taking advantage of the student loan system and naïve students who have had their heads filled with misleading statistics. If the national average is that there is only one law job per every THREE law graduates, then if Indiana for example, had only one job for every two graduates, it does not matter that Indiana has less lawyers than other states, there are still too many lawyers in Indiana, and another law school will only make matters worse. I don't find your comments coherent, and you know no more about economics than Ogden does. As I said, Americans are underserved by overpriced lawyers, ergo too much demand relative to supply. This has been the case for decades, long preceding the student loan debacle. You fall for Ogden's conventional Republican rhetoric. But in deed he supports a party that is no more free market and no less big government than the Democratic party. I see no evidence that his legal career is devoted to promoting free markets and defending the rights of Hoosiers. You would have to turn to an organization like Institute for Justice to find those sorts of lawyers. And where is Ogden's outrage at the Indiana Supreme Court decision that Hoosiers have no right to resist illegal entry by the cops? That is a ruling by lawyers who are members of his political party. "Ogden's position on licensing of lawyers show (sic) either a fundamental misconception of, or disregard for, free markets. You either support economic freedom or you don't." This is an absurd viewpoint that you can't seriously believe. Licensing and rational regulation do not stifle the marketplace; rather, they establish parameters in which a free market can operate. Such a situation is preferable from a free market standpoint than a completely unregulated market. "The costs that consumers pay -- or cannot afford to pay -- for legal services, suggest that there are far too few lawyer." LOL! There are numerous problems with this asinine conclusion. First and foremost, law is not a perfectly-competitive market (this alone kills your belief). A fresh law graduate cannot compete with a 20+ year specialist in subfield x. Consumers do not view them as interchangeable. So your "supply" would have to be redefined. Incidentally, in the areas with low specialization, where new graduates can competently represent clients easily, fees are very reasonable. And high prices in and of themselves are not always indicative that supply must be increased. Have you even considered the fixed costs of being a lawyer? Here is one area where the "cartel" (it's not really a cartel) becomes a problem, as most state bars require lawyers to have a brick and mortar office, attend CLEs, etc. These requirements (along with other fixed costs) push prices higher. The truth is that you could pump out 100,000 graduates each year in Indiana alone and you won't see prices for most legal services drop significantly. New market entrants simply can't price as low as you think they should and stay in business. If they could, you would have a flood of market entrants as there's been a 10k+ oversupply of attorneys produced each year for some time now. I regret that your grasp of economics and the legal field is so unsophisticated as to believe that more and more law graduates will lower prices for consumers.